KATHMANDU, Jan 27: Souring relations between the main ruling and opposition political parties have posed a challenge for the government in the amendment of over 170 existing laws that are at variance with the spirit and provisions of the constitution. 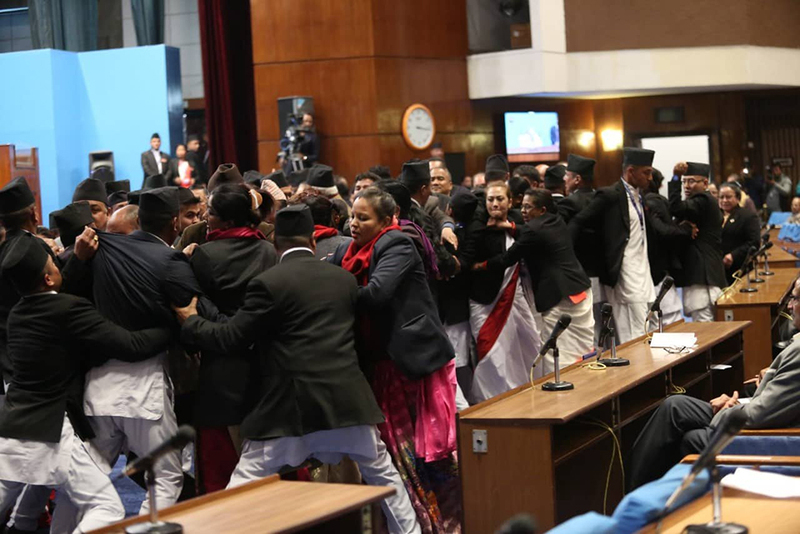 Protesting against the government's decision not to approve two hospitals named after Nepali Congress former presidents for operating under the federal government, the main opposition party has been obstructing both houses of parliament for a week. Following the government's move to have the National Medical Education Bill endorsed through the use of marshals against protesting NC lawmakers and its ignoring of demands for revisions to the bill, the NC has warned not only the government but also the speaker of the lower house of grave consequences. The escalating dispute between the ruling and main opposition parties in parliament comes at a time when parliament should be focused on amending 170 various laws that are at variance with the spirit and provisions of the constitution, and on doing so within the constitutional deadline of March 4, 2019. Article 304 of the constitution states that any laws or legal provisions contradicting the constitution will become invalid in a year after the first sitting of parliament. The government should amend or replace over 170 laws or legal provisions in the next five weeks. The very first meeting of parliament was held on March 5 last year after the election of the bicameral parliament under the new constitution. With the constitutional deadline inching closer, the government is yet to register another lot of two dozen bills in parliament to amend or replace existing laws. According to the deputy spokesperson of the Ministry of Law, Justice and Parliamentary Affairs, Hum Bahadur KC, over a dozen bills to replace existing laws are under consideration in parliament and over two dozen more bills are in the process of registration. The ministry has registered two separate Some Nepal Acts Amendment Bills to amend in bulk 55 and 110 laws respectively . According to Bhusal, the NC has decided to continue with its obstructions in parliament until the government changes its decision concerning the two hospitals named after past NC leaders. “We are very much concerned about the implementation of the constitution but the government has been deliberately undermining the environment in mysterious ways,” Bhusal told Republica. 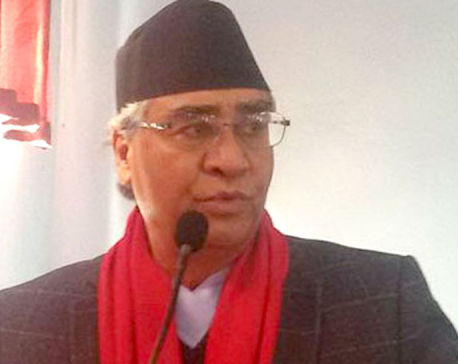 Although Chairperson of the ruling Nepal Communist Party Pushpa Kamal Dahal, while addressing the first meeting of the winter session of parliament, stressed the need for consensus politics for the implementation of the constitution , the NC has accused the ruling party of not showing the right tendency in parliament.